Here's a peek at our BRIDGE episode of our Ask Captain Chris training DVDs! Let us know if you'd like to learn more. First, check your charts for bridge air clearances. This is based on average high tide. 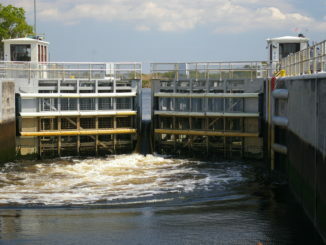 Next, check the tide level to determine if you need to request a drawbridge to be opened. Remember, you should only ask to have a bridge opened if you have lowered everything including your VHF radio antennae. 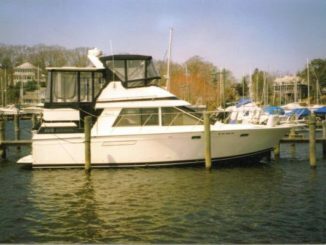 Maybe you arrived at the bridge during low or mid tide and you will actually have more headroom! A great example of this is in Georgia where 8 foot tides are not uncommon. Really EIGHT FEET! If the chart shows a bridge having 20 feet of air draft then that refers to the clearance at mean high tide. Sometimes the air draft could be less with a higher than average tide or strong winds keeping the water in the ICW. But at low tide you might have as much as 28 feet to slide under the bridge. Always look for the ruler fixed to the bridge fender system. That will show airdraft for the edge of the bridge span. This measuring board is often accompanied by a smaller white square sign which may show additional clearance at center if the bridge has an arc in the design. If in doubt, call the bridge tender on your VHF- sometimes channel, 9 sometimes channel 13. Learn more about drawbridges by watching our BRIDGES Video available from our Ships Store. 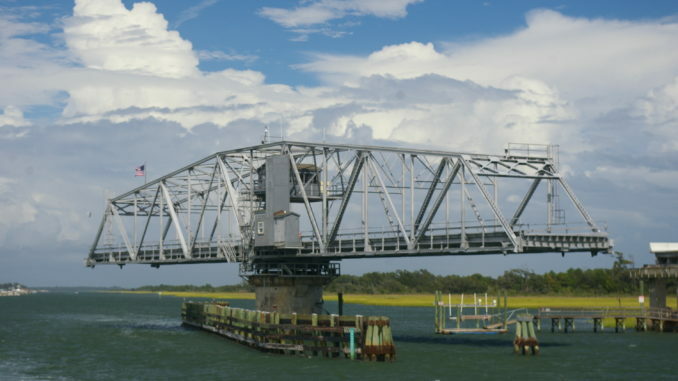 Sixty minutes of surprises you may expect when clearing a fixed or drawbridge and how to transit a bridge like a pro. Get ready for the fall cruising season with Captain Chris. The Holidays are fast approaching and this video would make a great stocking stuffer for the captain or crew in your life.